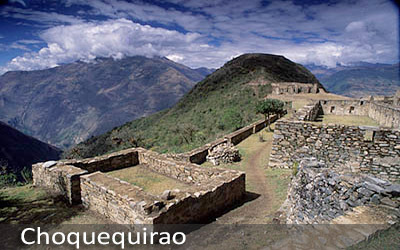 Choquequirao is still not very popular, and it is consider one of the most important cities of the Incas time, same as Machu Picchu. 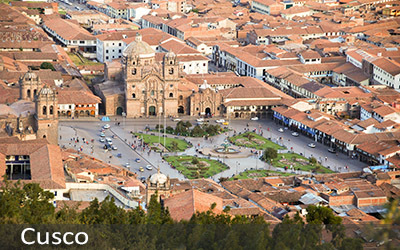 Due to its dificult access (2 day walk to arrive and 2 day walk to comeback), It is still very well preserved and very litle explore by tourist, which will allow you to fully enjoy of the trekking it self and this incredable Incan city. This morning, we will pick you up from your hotel and we will descend to the mountain village of Cachora, located at 2909m (9543ft) above sea level. Here, you will have a last minute opportunity to buy supplies and take in the beautiful scenery of the surrounding snow capped mountains. 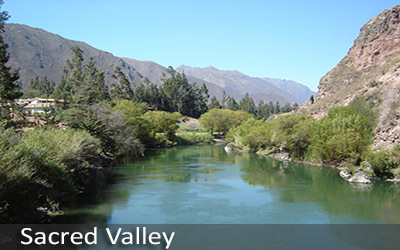 You will begin your trek through the mountainous region filled with stunning wild flowers and wildlife. 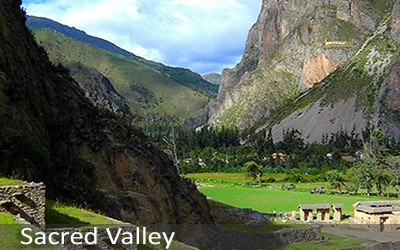 You will pass by small Andean villages on the way to the pass of Capuliyoc, (2800m, 9186ft). 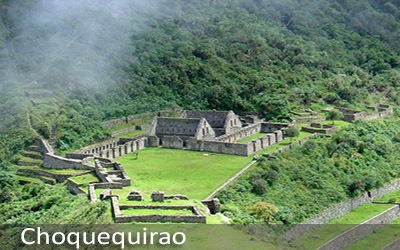 From this pass, you will have a breathtaking view of the deep Apurimac Valley and River stretching far below as well as the snow-capped peaks of Padrayoc and Wayna Cachora. In the afternoon, we will begin our descent down the valley to our majestic camping spot called Chiccisqa. Today, you will awake to an energizing breakfast. After breakfast, we will continue our descent for approximately one hour to Playa Rosalinas and the magnificent Apurimac River. We will then begin our steep climb through dense cloud forest to Santa Rosa (2095m, 6873ft), where we can take a well deserved break. 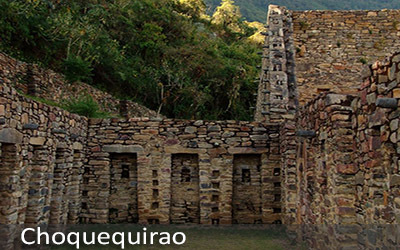 We will then continue upwards towards Marampata, where upon arrival you can rest and enjoy lunch with a spectacular view of the Ruins of Choquequirao. From here, you have two more hours of hiking until you reach the wonderful ruins. We will arrive at the ruins to explore the site, watch a spectacular sunset and hopefully see the magnificent Condors flying through the valley. We will head to our camp close to the ruins in the evening. 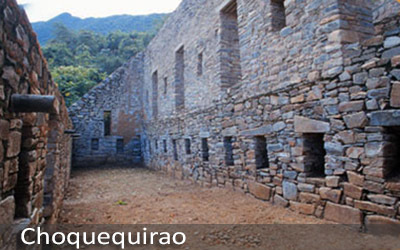 Today, we have the chance to awake to the beautiful sunrise at the Choquequirao Ruins. We will have a hearty breakfast and the opportunity to explore the temple, buildings and terraces while learning about the history of this newly discovered site. Archeologists are continuing to uncover the mystery of this site and the hidden secrets that lay underneath the ¨Cradle of Gold¨. In the afternoon, we will begin our return journey along the spectacular edge of the Apurimac canyon, descending to our tropical campsite at Santa Rosa. 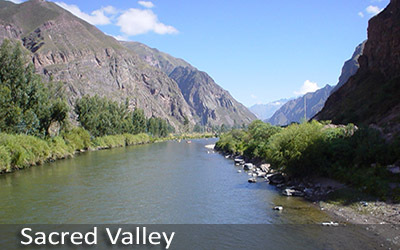 Very early in the morning, in order to escape the heat of the canyon of the Apurimac, we descend to the raging river. We then begin an arduous climb that is rewarded with spectacular views. We climb for about four hours before having lunch in Capuliyoc. The final two hours of our hike intothe village of Cachora is refreshingly flat and through pretty farming countryside. Upon arrival, our private car will be waiting to take us back to Cusco on a 4 hour drive.